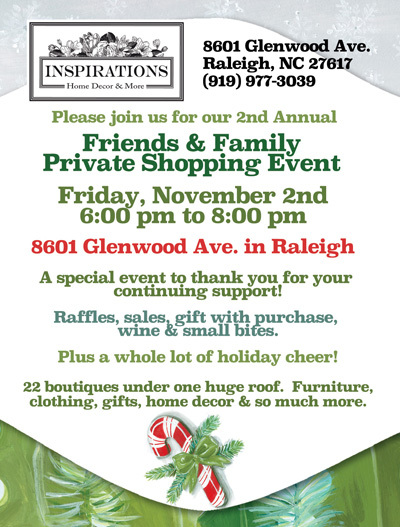 It’s our 2nd Annual Friends & Family event! Join us while we don our Holiday best and shower our closest supporters with gifts, festive food and a great atmosphere as a huge THANK YOU for your support! You’ll get the store all to yourself while we mingle, shop, nibble and sip. 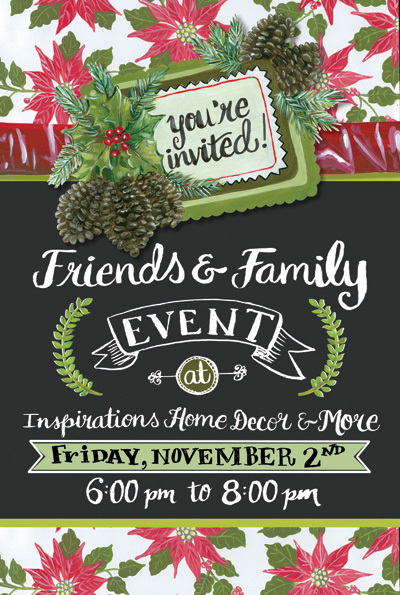 Friday, November November 2nd, 6:00pm – 8:00pm. For more info, visit our event page on Facebook. You may have to add our name to the nomination name under “Don’t see your favorite?”. Please enter “Inspirations Home Decor and More” in that field. Thank you SO much!! !